In Jun 2010, the 501(c)(3) Non-Profit Organization status was approved by IRS. By the end of March 2010, we purchased 10.5 acres land to build the temple by generous support of Chairman Sriman SAMUDRALA VENKATACHARI garu. Since the land became useless to construct the temple and to maintain day to day activities due to its Covenants we have waited approximately one and half years. Now HTVA is restarted it’s activities in the rental property of 6000.sq.ft located at 22510 S. Sterling Blvd., Suite #120, Sterling, VA 20164. 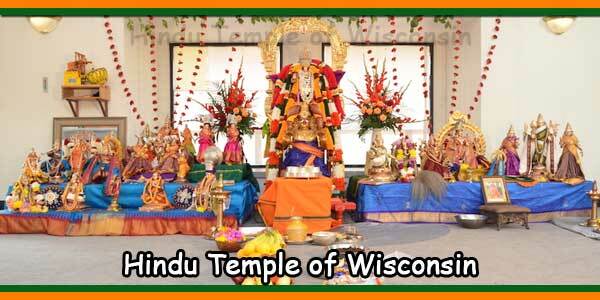 Firstly, providing place of worship and Puja services in Indian traditional way. Secondly, explaining the reasons behind the rituals to keep our upcoming generations close to Dharma, Indian Customs, and Indian culture. Thirdly, establish Sri Venkateshwara Temple by following the path of SHRI BHAGAVAD RAMANUJACHARYA, a branch of Tennacharya. Finally, to educate upcoming generations by establishing “Vignana Vihar” for above goals. 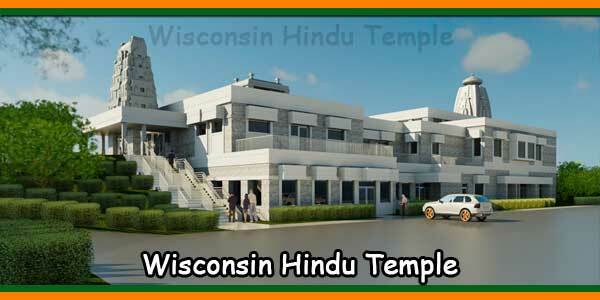 Hindu Temple of Virginia (HTVA) is a dream project of two priest brothers, They have been in the service of Lord for many long years and are rendering expert priestly services to the Hindu community for the last 20 years. Many of our gurus who believed in ‘Sanathana Dharma’ had followed the Vedic practices thoroughly. They taught and trained many young disciples in Aagamas and Vedas and thus they passed on the treasure of knowledge to the next generations. It was a gigantic task and they accomplished it with due devotion and dedication. They preferred temples as the main centers for these activities. Our acharya HH Sri Sri Sri Bhagavath Ramanujacharya Swami had set an example for this culture. He was the one who had established a code for the performance of temple rituals in the shrines of Srirangam, Tirumala etc., as per our Aagama Sasthras. Since then, the temples became the main learning centers. HTVA too follows the same ideology as laid down by our Jagadgurus and focuses on training able kids and adults in our Sasthras and scriptures and helping in molding perfect Agama pundits. 1) We intend to distribute free Prasadam. 2) We provide only Satwik prasadam in the temple premises. 3) We plan to stick to the same principles while allowing family functions in the premises. 4) We follow Sri Paancharatra Agama for all rituals. 5) We encourage our next generations to follow our culture and traditions. 6) We believe our Saasthras to the core. Our temple bye-laws are framed based on our Saasthras. It is like a human body. If we observe the temple structure from top to bottom: The Lord’s feet are the feet. Garbhagriham is like the heart. Somasuthram is like pureeshamaargam. Shikharam is the neck. Kalasam is the shikha (Hair). The God inside the garbhagruham (sanctum sanctorum) is the antharathma (antharyami) or Paramathma who is the Bhagavan. Archamoorthy worship aims at basically seeking out the antharaathma. Many sages who did penance for thousands of years could not attain Paramathma who controls them from within. But they could realize the Lord by worshipping His ArchaSwaroopam (idol form of god) sincerely. One can obtain salvation without any hardships by worshipping the Lord in his archa form. That is the compassion of Lord. He shows simpler ways to reach him at all times. 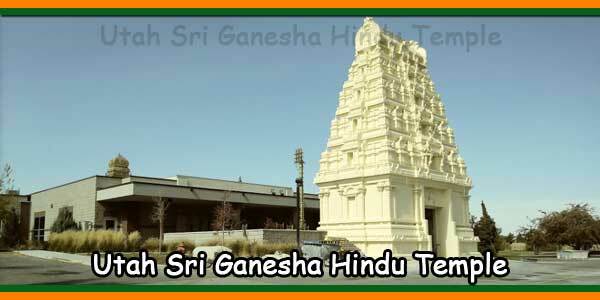 So let us all worship Lord Sri Venkateswara in HTVA and fulfill our wishes. Sri Venkateswara has acquired unique sanctity in Indian religious lore. The Sastras, Puranas, SthalaMahathyams and Alwar hymns unequivocally declare that, in the Kali Yuga, one can attain mukti, only by worshipping VenkataNayaka or Sri Venkateswara. The benefits acquired by a pilgrimage to Srinivasa are mentioned in the Rig Veda and AshtadasaPuranas. In the epics, Sri Venkateswara is described as the great bestower of boons. There are several legends associated with the manifestation of Lord Sri Venkateshwara. Sri VenkatachalaMahathmyam is referred to in several Puranas, of which the most important are the VarahaPurana and the BhavishyottaraPurana. 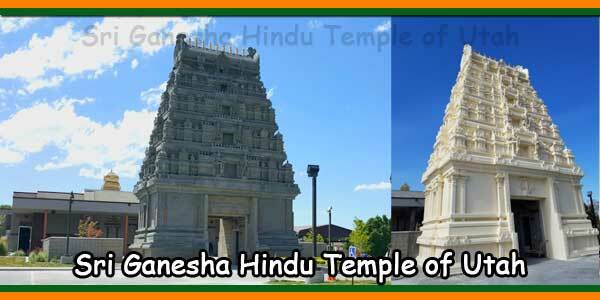 This Sacred temple of Sri Venkateswara is located in the beautiful VA amidst many devoted Hindu families. 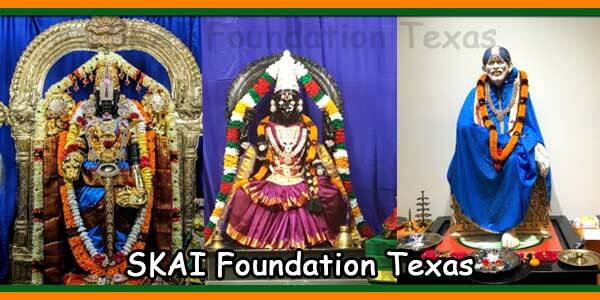 Vedic Literature is the central to our temple tradition. This literature is predominantly composed in Sanskrit. Vedic literature is divided into two categories: Sruti – that which is heard (i.e. revelation) and Smriti – that which is remembered (i.e. tradition, not revelation). The Vedas constituting the former category are considered scripture by many followers of Vedic religion. The post-Vedic scriptures form the latter category: the various shastras and the itihaasaas, or histories in epic verse. The Vedas The Vedas form the oldest layer of Sanskrit literature and the oldest sacred texts of Hinduism. According to Vedic tradition, the Vedas are apauruseya “not human compositions”, being supposed to have been directly revealed, and thus are called sruti (“what is heard”). Vedic mantras are recited at Hindu prayers, religious functions and other auspicious occasions. Philosophies and sects that developed in the Indian subcontinent have taken differing positions on the Vedas. Schools of Indian philosophy which cite the Vedas as their scriptural authority are classified as “orthodox” (astika). Two other Indian philosophies, Buddhism and Jainism, did not accept the authority of the Vedas and evolved into separate religions. In Indian philosophy these groups are referred to as “heterodox” or “non-Vedic” (nastika) schools. The central focus of all the Vedas is the Vedic sacrifice, officiated by four priests, each in charge of one of the Vedas. This karmic ritual is mediated by the fire-demigod named Agni. Only through Agni can the priests (and thus the rest of society) gain access to the Devas. The Vedas are four in number. The Rig, Yajur, Sama and Atharva Vedas represent various shakhas, or branches, of knowledge. Depending on the branch, different commentaries and instructions are associated with each Veda. 1) The Rigveda contains hymns (mantras) that formulate the mythology of ancient Vedic practice. 2) The Samaveda consists mostly of mantras from the Rig Veda, but arranged in an order specifically suited to the Soma sacrifice. 3) The Yajurveda contains detailed prose instructions for the sacrifices. 4) The Atharvaveda comprises semi-magical spells against enemies, sorcerers, diseases and mistakes made during the sacrificial ritual, as well as kingly duties and some deeper spiritual truths. 1) The Mantra portion, also called the Samhita, is a collection of hymns to be used in Vedic sacrifices. 2) The Brahmanas portion (not to be confused with Brahman, or the brahmin caste), contains specific rules and regulations for the sacrifices as well as prose commentaries explaining the meaning of the mantras and rituals. 2) The Upanishads, which contain highly philosophical and metaphysical writings about the nature of, and the relationship between, the soul (atman) and Brahman. The Upanishads are often referred to collectively as Vedanta (“the end of the Vedas”), not only because they appear physically in the concluding pages of each Veda, but also because the mystical truths they express are seen by many as the culmination of all the other Vedic knowledge. The Upanishads While the Upanishads are indeed classed within the fold of the “Vedas”, their actual importance to Hindu philosophy has far exceeded that of possibly any other set of Hindu scriptures, and even resulted in the Bhagavad Gita, which is a self-proclaimed yoga upanishad. Thus, they deserve a look that is independent from the samhitas and brahamans, against whose excessive ritualism the Upanishads famously rebelled. They form Vedanta and are the basis of much of Classical Hindu thought. The Upanishads (“Sittings Near [a Teacher]”) are part of the Hindu Shruti; these religious scriptures primarily discuss philosophy and “cosmic reality”; they also contain transcripts of various debates or discussions. There are 123 books argued to be part of the Upanishads; however, only 13 are accepted by all Hindus as primary. They are commentaries on the Vedas and their branch of Hinduism is called Vedanta. See Upanishads for a much more detailed look at the mystic backbone of Hinduism. The Upanishads are acknowledged by scholars and philosophers from both East and West, from Schrodinger, Thoreau and Emerson to Rabindranath Tagore, Mahatma Gandhi and AurobindoGhosh, to be superlatively beautiful in poetry and rich in philosophy. Post-Vedic Hindu scriptures The new books that appeared afterwards were called Smriti. Smrti literature includes Itihasas (epics like Ramayana, Mahabharata), Puranas (mythological texts), Agamas (theological treatises) and Darshanas (philosophical texts). The Dharmashastras (law books) are considered by many to form part of the smrti. From time to time great law-givers (eg Manu, Yajnavalkya and Parashara) emerged, who codified existing laws and eliminated obsolete ones to ensure that the Hindu way of life was consistent with both the Vedic spirit and the changing times. However, it must be noted that the Dharmashastras have long been discarded by many groups of Hindus, namely those following Vedanta, Bhakti, bhakit and Tantra streams of Hinduism. The Vedic philosophy reflected in the epics is the doctrine of avatar (appearance of God on the Earth). The two main avatars of Vishnu that appear in the epics are Rama, the hero of the Ramayana, and Krishna, the chief protagonist in the Mahabharata. Unlike the gods of the Vedic Samhitas and the more meditative, mystic and ethical Upanishadic ideas regarding the all-pervading and formless Brahman, the avatars in these epics are more developed personalities, loving and righteous descents of the Supreme Being among mortals. The Bhagavad Gita Many followers of the Vedic religion or Sanatan Dharma has said that the most succinct and powerful abbreviation of the overwhelmingly diverse realm of Vedic thought is to be found in the Bhagavad Gita (also known simply “The Gita”). Essentially, it is a microcosm of Vedanta- Bhakti, Yogi, and Karmi aspect of Sanatan Dharma, or Vedic religion. Bhagavad Gita (literally: Song of the God) is a part of the epic poem Mahabharata and is revered in Hinduism. It speaks not only to Vaishnavas but to all people of all faiths, and it is accepted by the members of all Vedic streams as a seminal text. Indeed, the “tag line” of each chapter of the Bhagavad Gita refers to the book as the “Gita Upanishad” and as a “scripture of yoga,” thereby establishing that in this text, Lord Krishna speaks the truths of yoga and the Upanishads for all. What holds the devotee’s mind foremost is Krishna’s repeated injunction to abandon the mortal self to the infinite love of the Lord. He not only speaks to the mind and to the Atma, individual spirit’s innate sense of Dharma, but calls for overwhelming love. By loving God one also loves the immortal Self, finds harmony in oneself, and finds oneself at peace with the entire cosmos. The Gita speaks of cultivating the intellect, properly using the body, and always remaining equipoised in relation to the greater Self. The Bhagavad Gita truly presents itself as a liberation scripture universal in its message The Puranas The Puranas are a vast literature of stories and allegory. Eighteen are considered to be Mahapuranas, or Great Puranas, and thus authoritative references on the Gods and Goddesses, religious rites and holy places (most of which are in the Indian subcontinent, known as Bharat). Divya Prabandha Vaishnavite hymns The Nalayira Divya Prabandha (or Nalayira(4000) Divya Prabhamdham) is a divine collection of 4,000 verses (Naalayira in Tamil means ‘four thousand’) composed before 8th century AD, by the 12 Alvars, and was compiled in its present form by Nathamuni during the 9th & 10th centuries. The work is the beginning of the canonization of the twelve Vaishnava poet saints, and these hymns are still sung extensively today. The works were lost before they were collected and organized in the form of an anthology by Nathamunigal. The Prabandha sings the praise of Sriman Narayana (or Vishnu) and his many forms. The Alvars sung these songs at various sacred shrines. 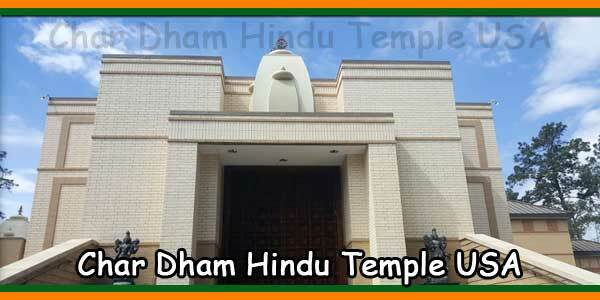 These shrines are known as the DivyaDesams. In South India, especially in Tamil Nadu, the DivyaPrabhandha is considered as equal to the Vedas, hence the epithet Dravida Veda. In many temples, Srirangam, for example, the chanting of the Divya Prabhandham forms a major part of the daily service. Prominent among the 4,000 verses are the 1,100+ verses known as the Thiru Vaaymozhi, composed by Nammalvar (Kaaril Maaran Sadagopan) of ThirukKurugoor. Other Vedic texts Other famous texts of Hinduism include those of the bhakti yoga school (loving devotion to God) such as the Ramcharitmanas of Tulsidas (an epic poem on the scale of Milton’s Paradise Lost based on the Ramayana), the Gita Govinda of Jayadeva (a religious song of the divine love of Krishna and his consort Radha), AdiShankara’s commentaries and other works, Ramanujacharya’s nine books including “Sri Bhasya”, Madhvacharya’s commentaries and the Devi Mahatmya (the tales of Devi, the Vedic mother goddess, in her many forms as Shakti, Durga, Parvati, etc. ).